We have a very limited number of weekend tickets for both Saturday 6th and Sunday 7th of October at the special ‘early bird’ rate of £20. After these ‘early bird’ tickets have sold out, the weekend ticket price will be £25. This gives you access to both days and all 14 artists. If you can only make if for one of the days you can buy a day ticket for just the Saturday or the Sunday for £15. This gives you access to one day and the 7 artists playing on the day you choose. Have a look at our TICKETS section for more details. 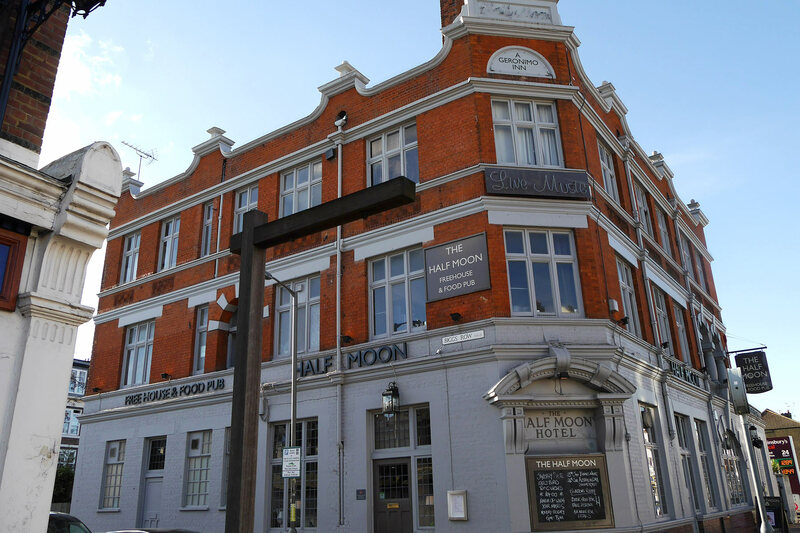 The Half Moon is situated near the banks of the Thames at Putney Bridge and has been entertaining patrons with the very best in live music for decades. You can check out who's playing and when in our LINE-UP section or take a look at all the artists involved in our ARTISTS section.